Sunday services follow a traditional format of Holy Communion with a mixture of traditional hymns and hymns from various traditions. We are an informal and friendly worshipping community of people of all ages and from all parts of the world. We want to welcome you on this virtual visit to St. Augustine. On this website you will find information about Worship, Christian Education, fellowship, weddings, baptisms and special events. Just click on the links at the top of this page to find out more about various aspects of our worshiping community. See Weekly Sheet for services etc. A good place to come and have lovely refreshments, including out-of-this-world cakes, and chat with friends old and new. Please click here to go directly to the 'contacts' page. Please click the links above for information about the church, how to get here, what's on offer or any other inquiry. Here are a few of the many questions and requests we deal with every day. You may find yours among them or perhaps yours is a unique situation. Whatever the case may be, we would like to hear from you. St Augustine's church is located in the nature reserve known as One Tree Hill. Our main entrance is from Honor Oak Park but you can also find us by walking over the hill from Brenchley Gardens. 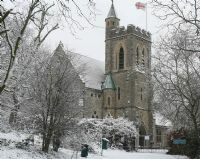 The Church of England parish of St Augustine's Forest Hill reaches from Peckham Rye to Honor Oak Park station and from the Horniman museum to Camberwell Cemetery. 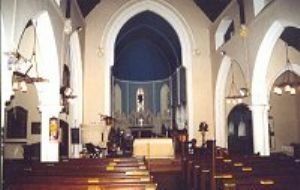 To find out whether you live in the parish have a look at the website www.achurchnearyou.com. 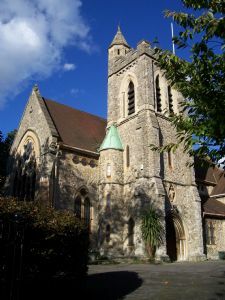 St Augustine's is a part of the diocese of Southwark in South London. Follow the link for information about the Church of England in South London. The diocese has a blog, Hearts on Fire.